In the past couple of posts, we’ve looked at some of the metaphors, imperfect as they are, used for what God looks like and what God sounds like. Today I want to look at what God tastes like. It seems that it would be easy to see that God is good, but what does taste have to do with it? Does God have at taste? More specifically does the Bible have any metaphors about what God tastes like? What does the Bible says God’s Word tastes like? Jesus then said to them, "Truly, truly, I say to you, it is not Moses who has given you the bread out of heaven, but it is My Father who gives you the true bread out of heaven. For the bread of God is that which comes down out of heaven, and gives life to the world." Then they said to Him, "Lord, always give us this bread." Truly, truly, I say to you, he who believes has eternal life. 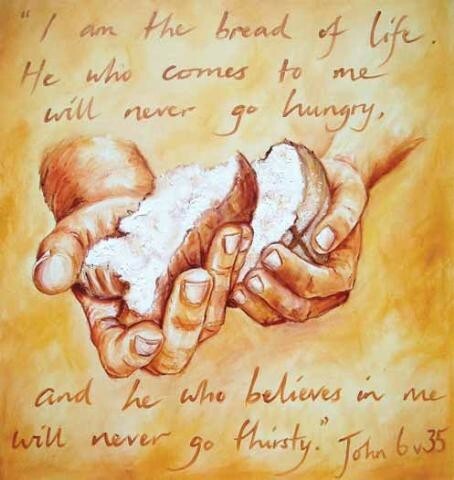 I am the bread of life. Your fathers ate the manna in the wilderness, and they died. This is the bread, which comes down out of heaven, so that one may eat of it and not die. God’s Word tastes like Honey: Jesus is the Word: Jesus tastes like honey. The manna from heaven tasted like honey: Jesus is the manna: Jesus tastes like honey. Jesus and God are One: God tastes like honey. God is Like . . . Part 1 What Does God Look Like? God is Like . . . Part 2 What Does God Sound Like? Yes, Jesus does taste like honey, thanks for sharing.